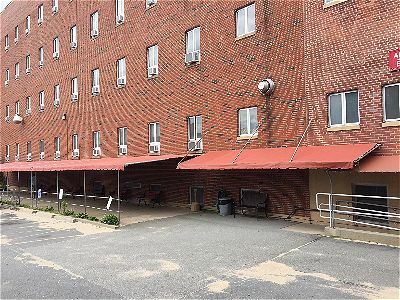 Over 100 feet of awnings needed new covers here at Sacred Heart. This was a large commercial project that we undertook last month. 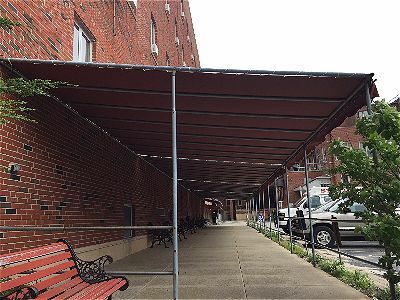 A couple hundred linear feet of awning cover the side of Sacred Heart in New Bedford and they we in need of new covers. We think the results came out pretty great for such a large project. These new durable, fire resistant awnings should serve them well for years to come. 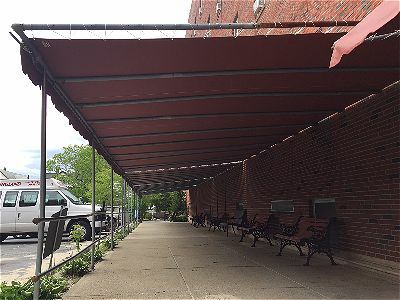 Side view of these linked commercial awnings.